I could not put this book down, so I read it all in one night. Two words: Rapid and retro-sassy. The novel ends on a cliffhanger, and I am pleased to know that Ms. Donahue is working on a sequel. Keep up the good work, Ms. Donahue! Bobbi had always wanted to find Mr. Right, but, as a young, independent woman in her late 20’s, Hollywood was probably not the right place to find him, especially in the 1950’s. Just when she thinks she’s found her Prince Charming, she gets involved in something sinister. 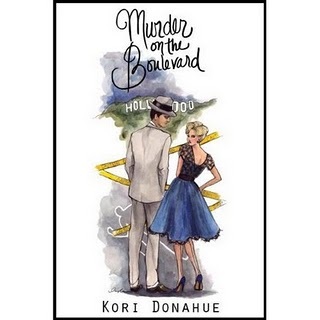 Bodies are appearing all over town, and if she doesn’t figure it out soon, she’ll be the next murder victim… On The Boulevard.